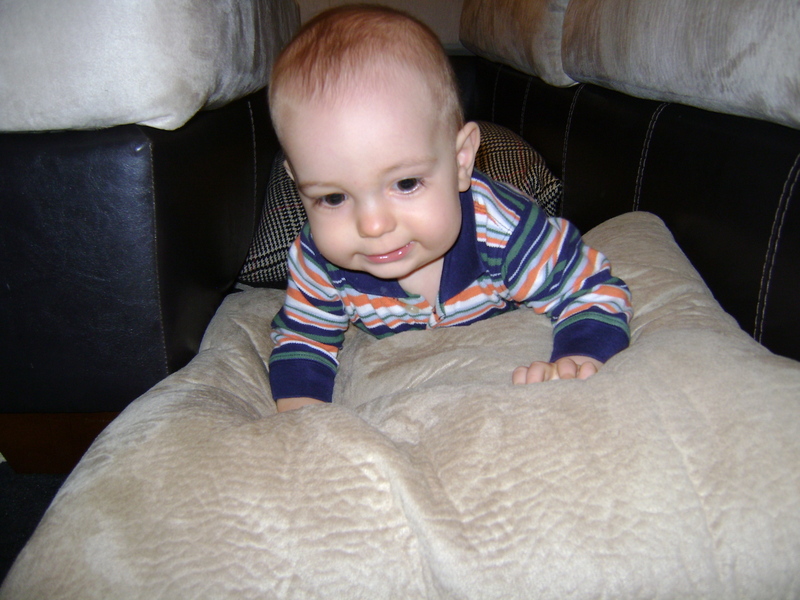 Back when Henry was learning to crawl I often set up this obstacle course in an attempt to get him up on his hands and knees. We hadn’t done this activity in a while so I decided to set it up again. For the obstacles I simply placed a few pillows on the floor with spaces in between the pillows so Henry has to crawl up and over each pillow. To keep him on course I like to use the path between our sofa and ottoman. 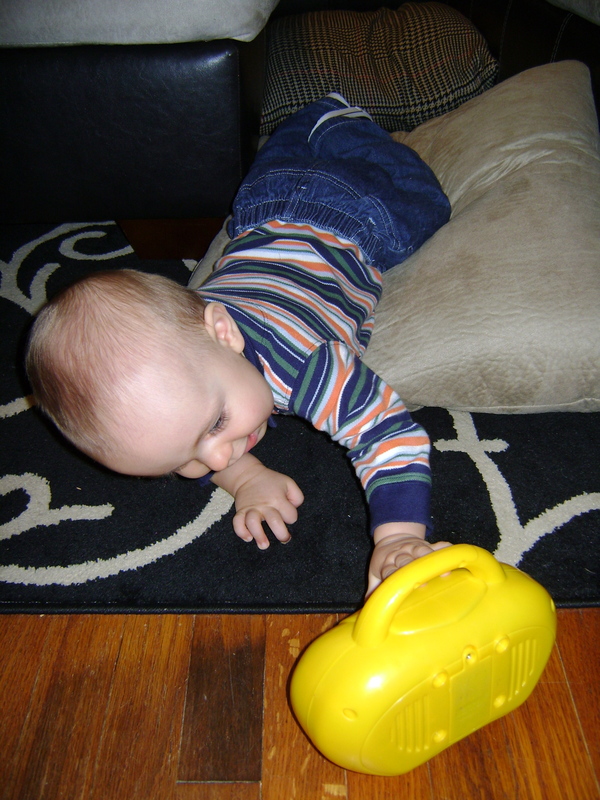 I then place a really exciting toy at one end of the obstacle course and place him at the other end. 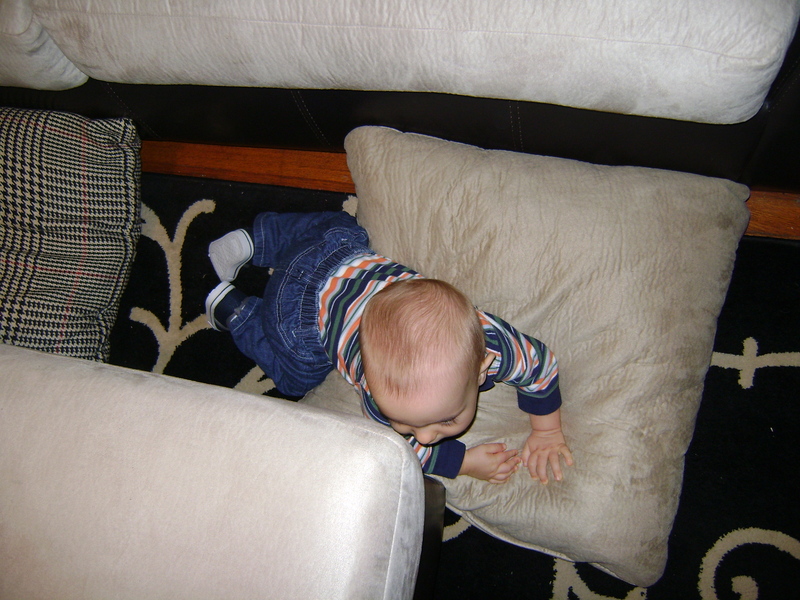 Henry remembered how to do this activity so he quickly crawled over the pillows…..
….and got to his toy radio. The radio is the only toy he owns that plays music and lights up. Since I don’t usually have it out for him to play with it can be a very good motivator in activities like this. I decided this old activity needed a new spin so I decided to add the “tunnel of enchantment”! 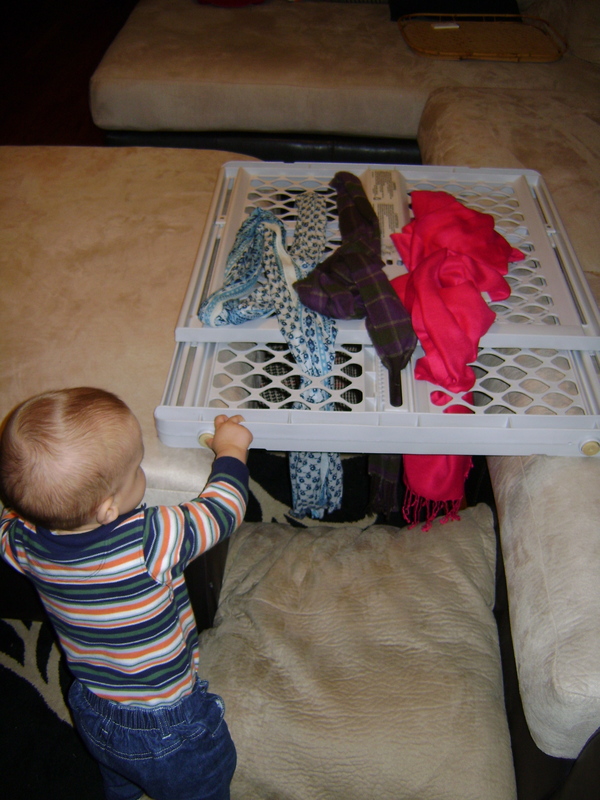 To construct the tunnel I placed a baby gate over the top of the obstacle course and poked the ends of a few of my scarves down through the holes in the gate. 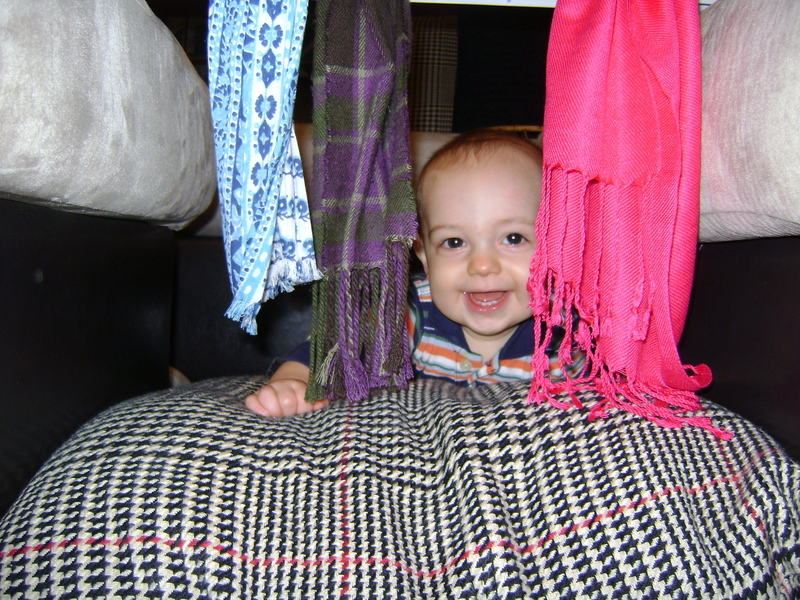 He thought the addition of the fun colors and textures was very exciting. 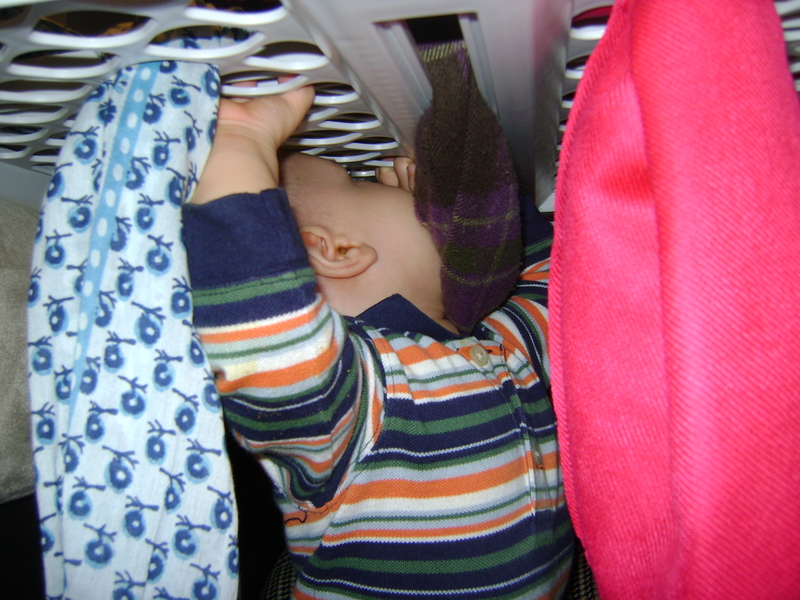 It wasn’t long before he was sitting in the tunnel and looking up through the holes in the baby gate. Do you have any ideas of some other obstacles I can add to the course? How creative! 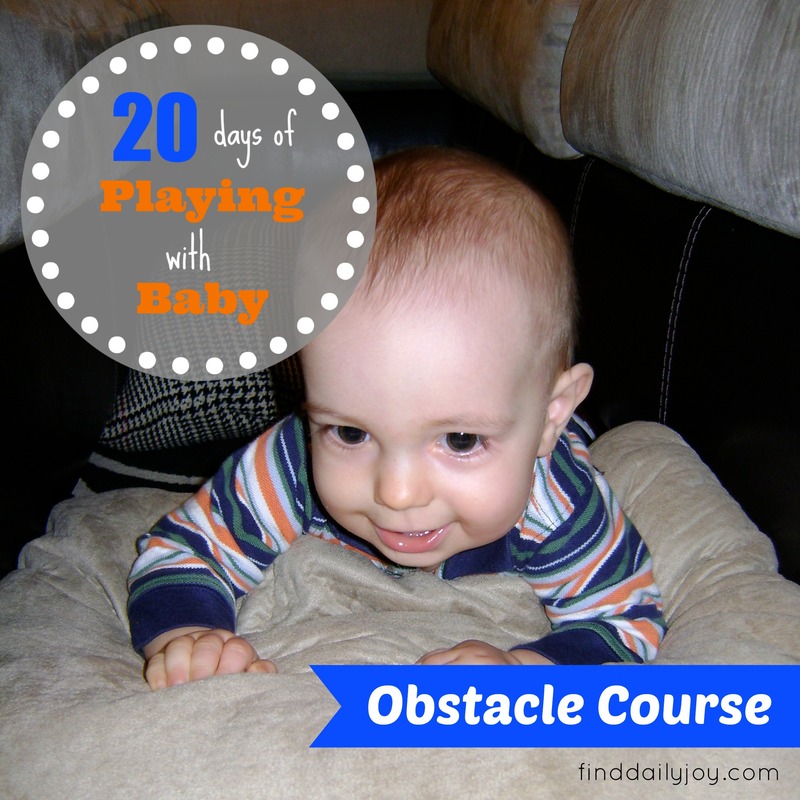 I love your “20 days of playing with baby”! Thanks for demonstrating this idea. I especially like the scarves! Great idea! 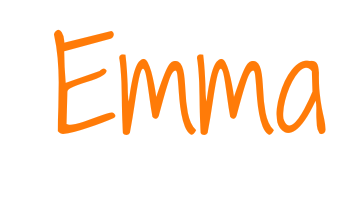 Love the whole 20 days – thanks for all the cool ideas.